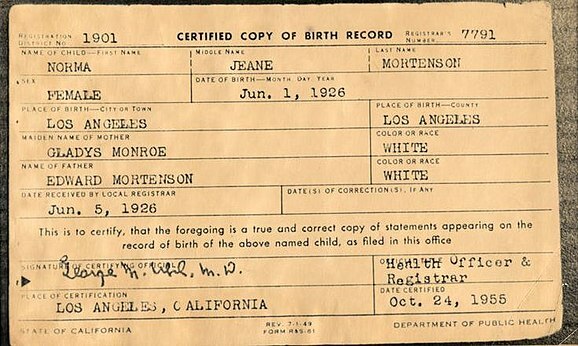 Birth certificate of Mariliyn Monroe. Monroe use the name of her mother as stage name; her father was called Mortenson. Wikimedia Commons has media related to Birth certificates. This page was last changed on 17 December 2018, at 14:10.